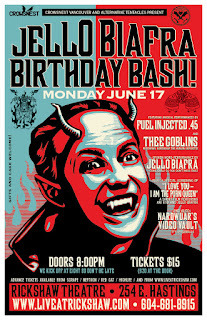 Nardwuar The Human Serviette News: June: 17: Thee Goblins Opening For Jello Biafra in VanCity! 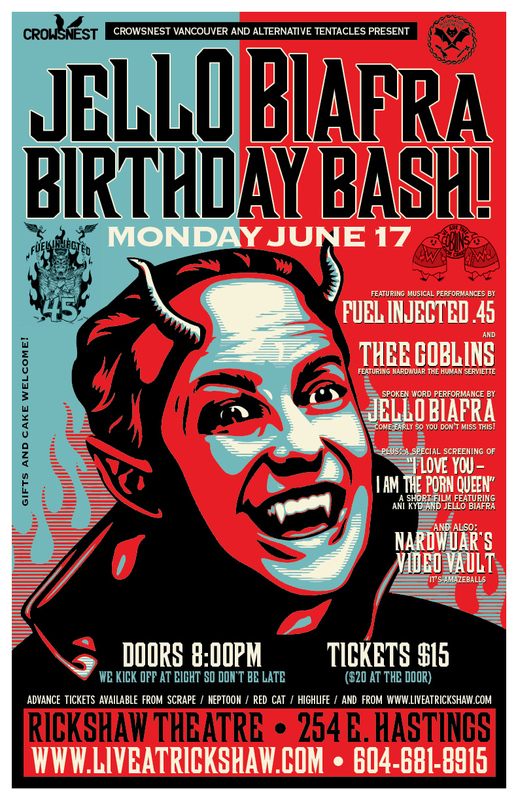 June: 17: Thee Goblins Opening For Jello Biafra in VanCity! Hullo Vancity! Going to be playing a gig with my band Thee Goblins on Monday June 17 at the Rickshaw Theatre opening for Jello Biafra 's spoken word performance. It's his birthday party! I will also be playing some interviews from my "Video Vault" on the big screen! Plus Fuel Injected .45 will be there rockin' too! More info and tickets available HERE! Doot doo !